The Belfast Political Tour is a three hour walking tour led by ex-prisoners from both a Republican and a Loyalist background. 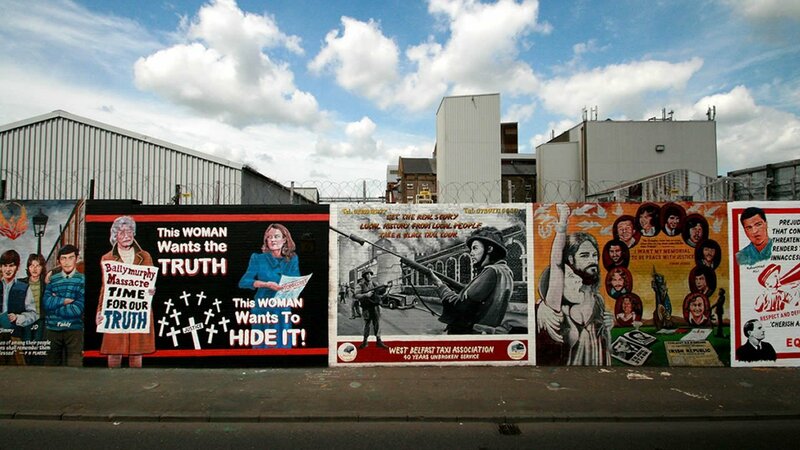 The political conflict known as ‘the Troubles’ raged through Belfast and Northern Ireland from 1969 to 1998. On this tour you will hear the stories and the experiences of two different guides from either side of that conflict. Your first guide will lead you on a walk up the Falls Road and describe the period of conflict to you from a Republican perspective. After 1.5 hours your first guide will hand you over at the Peace Wall to your second guide who will lead you through the Shankill Road area and describe the conflict from a Loyalist perspective. Bookings can be made in store or by telephoning +44 (0)28 9031 0101. If you have any specific queries about the itinerary just get in touch and we will assist you in any way we can. One conflict. Two guides. Two stories. Please come dressed appropriately for not only the season, but also for the activity.